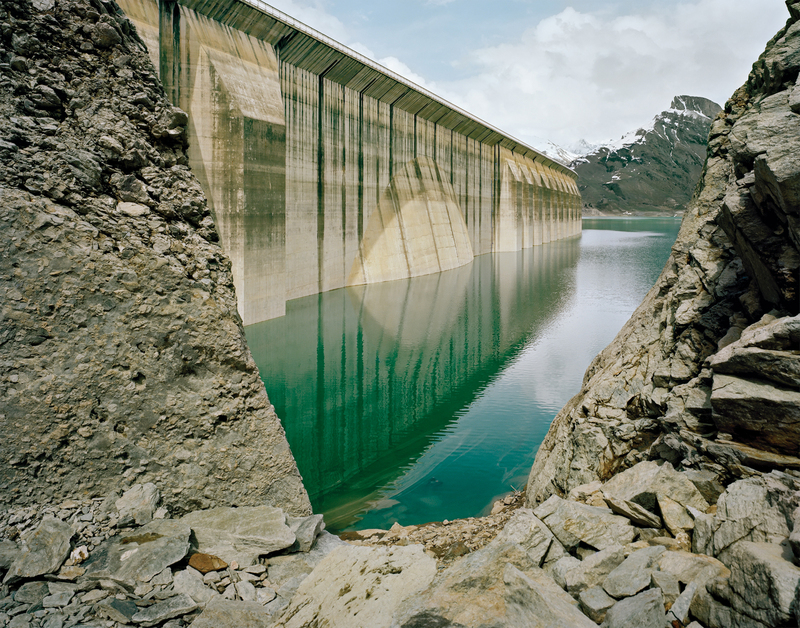 In her book Du Torrent au Courant, des Barrages et des Hommes en Savoie (From Torrent to Current: Dam and Man in Savoy), photographer Céline Clanet documents the infrastructure of hydropower in the Beaufortain region of southeastern France: four dams and ten power plants. Set in the midst of bucolic hillsides and snowcapped peaks, these structural behemoths have had profound impacts on the surrounding terrain. With a documentarian eye, Clanet captures all facets of these dams and power plants—from their monumental exterior scales, to labyrinthine interior spaces, to caretakers—focusing on how infrastructure has merged with the natural and social landscape.